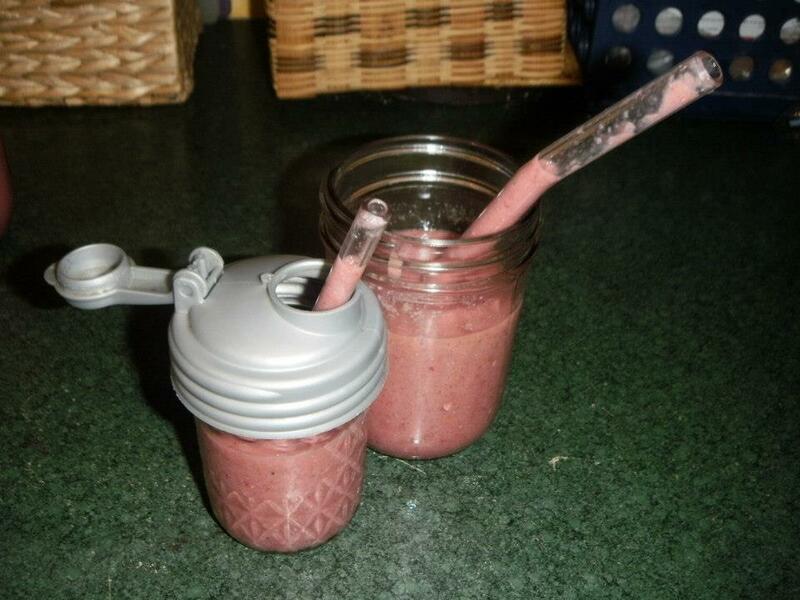 A couple months ago a mama shared a link to GlassDharma straw company on my wall, and I shared it with the page. The majority of the comments were thoughts such as “A glass straw, I’d never give that to my child” (due to breakage concerns). I was thrilled when the very nice people at GlassDharma agreed to send me a couple of straws to review, to see how they hold up to my toddler. At this time I’ve been using them for a little less than a month. I let my toddler handle them as he handles anything else. They have hit the ground a couple times. They get washed in the sink with the rest of the dishes, with no special care. There is a brush (sold separately), but I honestly haven’t needed it yet. I let them soak with all of my silverware, and flush hot water through them, and they come out wonderfully clean! I will update in the future, should they ever break! These straws are made of Pyrex-quality glass (Borosilicate glass – the strongest commercially available). I don’t know how many of you use Pyrex in you daily life, but I have for many years now (also proudly made in the USA). Here’s a short story to demonstrate what Pyrex-quality consists of. One day I pulled out of my driveway and started driving down the road. In my rear view mirror I saw something go flying off the top of my car, at maybe 35 mph. I slammed on the brakes, backed up, and there was one of my Pyrex storage containers I had placed on top of my car and obviously forgotten about. It had skid marks on the bottom, but not even a chip out of it! I don’t recommend trying this, but just want to give you an idea of how tough this glass can be. Had it landed differently, it may have shattered. I just had a 2-cup Pyrex measuring cup fall from high up on the shelf and literally explode all over the kitchen. It was ~13 years old, and has fallen unscathed before. SO, the stuff can break, of course. But, under normal use, the stuff can last a lifetime. I’m expecting the same from these straws. The company offers this guarantee: Hassle-Free Lifetime Guarantee Against Breakage If, for any reason*, your GlassDharma Drinking Straw should break, click the link below for instructions and a form to obtain your replacement. NOTE: Although we offer this unbelievable guarantee, we are NOT claiming that they are unbreakable. (Any more than your Pyrex coffee pot or pie plate would be.) Purposely “testing” GlassDharma straws is not advised and in some cases may result in the guarantee being voided. Are straws a necessity of life? Of course not. But, those of you with older children are probably aware the kids LOVE drinking through straws. Think of all the plastic straws many families will go through in a lifetime without thinking twice about it. I, and many of you, are on missions to rid our homes & lives of plastic to the greatest extent possible. This is one more great, reusable product that can help you achieve that goal. We drink smoothies at least every-other-day. I have to say, I’ve really enjoyed drinking through the glass straw. I give babe the short one, and I use the one with the slight bend towards your lips (see the photo). I don’t know why, but it just seems to go down extra smooth! Whenever we have smoothies, babe goes to the drawer for his straw. Here’s what the company has to say about plastic straws: PLASTIC STRAWS are always in the top 10 of number of items collected during beach cleanups. Some folks ask “Why do we need a beverage delivery system, anyway?” Well, it’s true that up until about 100 years ago nobody had one, so they are not essential for the average person for survival, but here’s the catch: Would anybody seriously think that we could outlaw drinking straws? A large population shows no willingness to do without their straws, so as long as there are people that want to use a drinking straw, then we need to find materials and processes that do not impact our planet the way plastic straws currently do. FOCUS: The GlassDharma philosophy is not to try to be all things to all people. Our focus is to do what we can do and what we do best. Single use plastics are not only one of the biggest contributors to plastic pollution, it is also one of the (relatively) easier issues to remedy – at least when it comes to stopping the pollution. Cleaning up what is already there is another topic for discussion. Our company’s focus is on drinking straws. The GlassDharma mission is to create world-wide awareness about single use plastics and how damaging plastic straws are to our environment. Glass Straws provide an alternative that eliminates the need for straws made from plastic. Please check out their website for more information at: http://www.glassdharma.com/index.html. Straws proudly made in Fort Bragg, CA. UPDATE 2/25/18, NEARLY 5 YEARS LATER!!! In our almost 5 years of using them now, pretty much DAILY, we’ve only broken one, and not under normal use. My Son’s friend was trying to hammer it into the ground like it was a stake (reason unknown), it broke. I did not request a free replacement 🙂 Seriously, do not let your fear of glass steer you away from these!